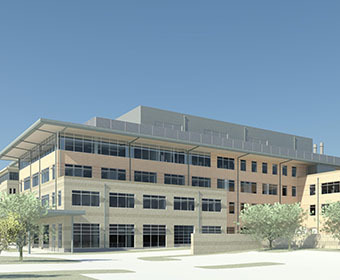 (April 10, 2019) -- The UTSA College of Engineering confirmed a commitment of $500,000 from Ed Whitacre in support of the Science and Engineering Building, currently under construction and slated to open in 2020. The new building will provide 153,000 square feet of laboratory, classroom and meeting space to support students and research in engineering, brain health, biology and chemistry. Whitacre, chairman of the Board of ExxonMobil, has been a generous donor to UTSA for many years. Learn more about the UTSA Science and Engineering Building.